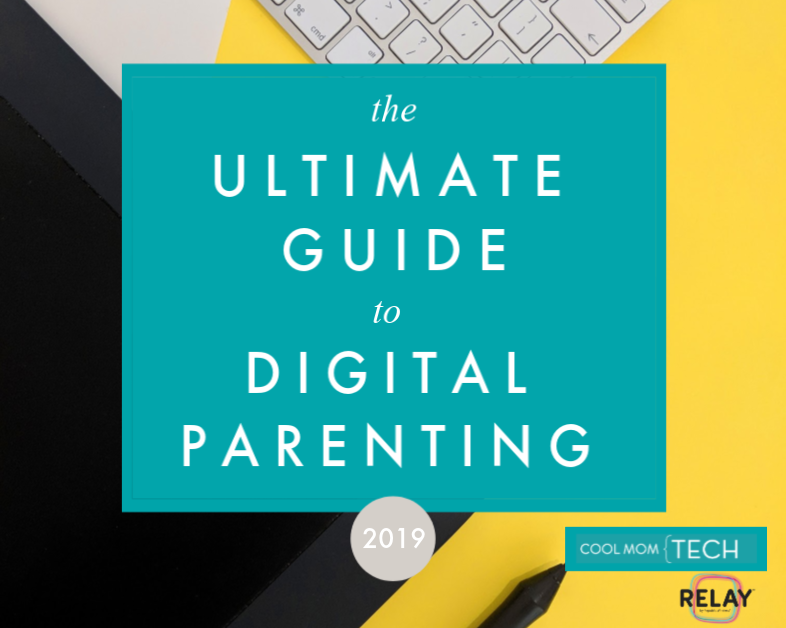 Today’s preschoolers are a far more digitally connected and savvy group than we ever were, and now a new system from VTech is channeling that screen time interest and transforming it into an opportunity for learning. The InnoTV is an educational, TV-connected gaming system that brings tech and education together in a whole new way, for kids 3 to 8. The affordable system comes with a wireless controller and four age-appropriate single-player games, all developed with the help of educators to align with Common Core standard in language arts, math, science and more. They were designed to cater to different learners so that kids can progress and play at their own speed. 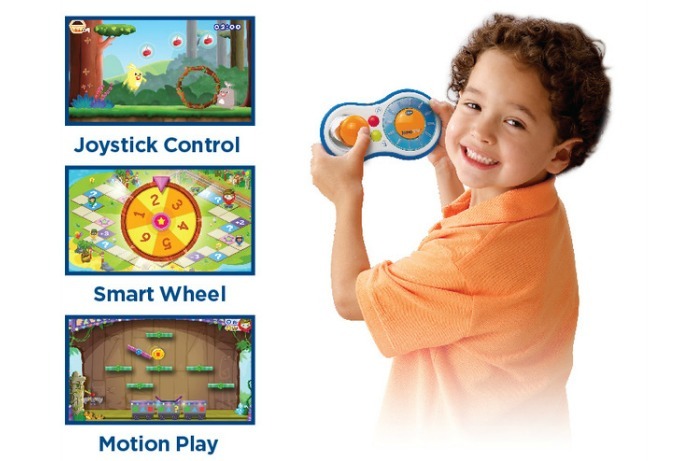 The InnoTV includes a kid-friendly controller featuring a joystick, smart wheel, and motion control that can be tilted and shaken. Kids can play on their own, or try cooperative multi-player games so the whole family can join the fun. You can even use InnoTab library cartridges you may already own in the InnoTV. And when you’re ready to stream or download even more content, just use the built-in Wi-Fi. In fact 100 new games are being added the Learning Lodge on VTech by the end of the year. That’s a whole lot of educational, family game night options right there. This has been a sponsored message from the InnoTV Educational Gaming System. 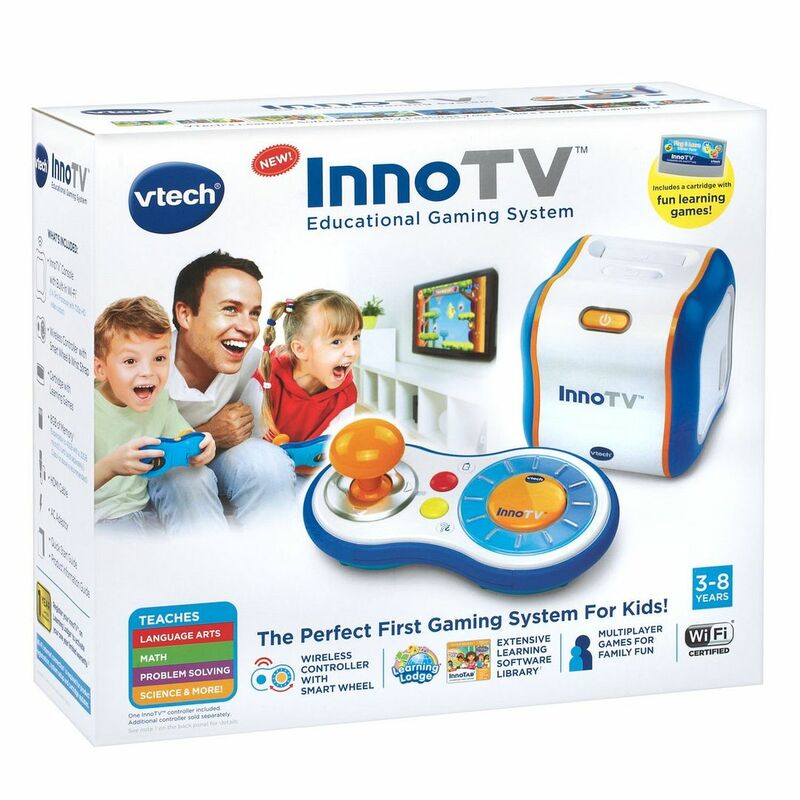 You can visit VTech Toys on Facebook for more information and be sure to check out the InnoTV in action over on YouTube. 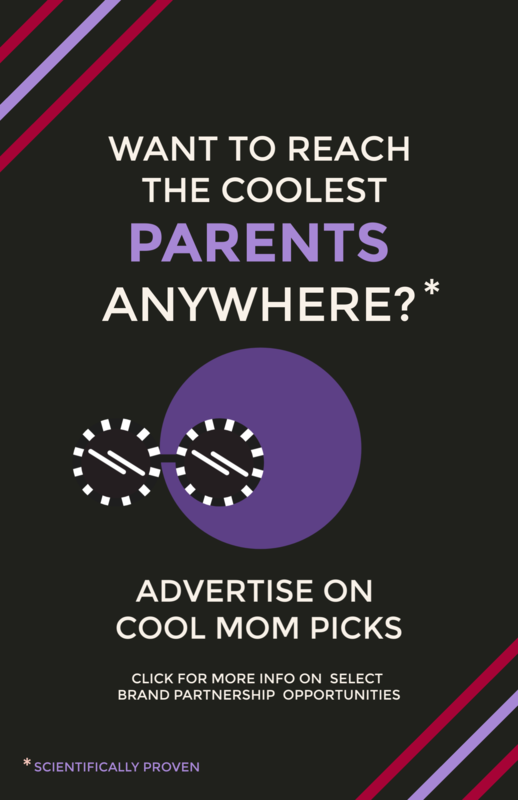 EXTRA COOL: WIN IT! We’ve got one InnoTV console up for grabs to one lucky winner. Just leave us a comment below telling us why you think your kids (or niece/nephew, grandchild, you get the idea) would love the InnoTV by Friday, November 6th at 11:59pm EST. We’ll pick one winner at random. You must be 18 years old or over to enter, void where prohibited. U.S. residents only please. Good luck! 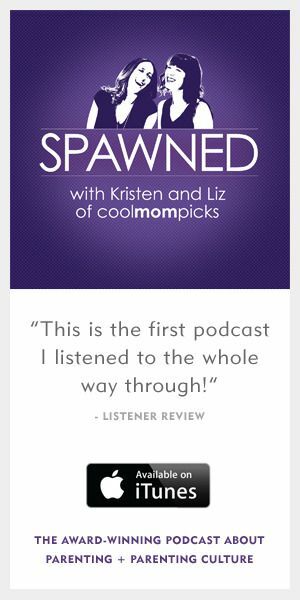 My son would love this because he likes anything new….that I get…. My nephew would love this! His parents are gamers and he’s interested in their shooter games but he’s only 3. I think this would be great because he’ll be able to play like his parents but on a game more his level and it’s a learning activity -huge bonus! My Nephew Would Really Love The e InnoTV Educational Gaming System, He Loves Learning Through Games And He Would Enjoy The Interactive Feature Of This! My nephew would love the InnoTV Gaming system – to learn while playing a games like his parents would be perfect since he’s at the age where he wants to mimic all his parents do. I would love to win this for my 3 year old grand-daughter. She will be 4 on November 9th. She is currently in pre-school and won Student of the Month in September. The teacher said she is advanced and love to learn. This would help her on her quest to learn new things. She has the Innotab 2 & 3 and the Mobi-go which she absolutely loves. Would love this for my 4 year old. With three littles, (1, 3, and 5 years old), we’re constantly on the lookout for new, fun and educational toys with which they can engage and grow. I’m a STEM enthusiast, and we’re a VTech family through and through. This new product has me thoroughly intrigued, and we would love to give it a go! It would get years of love as each kid grows older! My nephew would love the InnoTV. He loves technology games and this would be a great educational alternative for him. My 3yr old daughter would love this game system as she’s been playing educational games on my old cell phone since she was 1.5yrs old! Her big brothers get to play their games on a big screen TV, and she always feels left out as we’ve no ps3 games for a 3yr old! Thanks for offering your readers a chance to win such a great prize! My daughter would love this gaming system! She pretends to play along with her daddy’s “grown up” gaming system so one of her own, that is educational, would be so great! My 5 kids ages 9, 7, 4, 3 and 1 would love this! We homeschool and love to incorporate all types of learning. It would be a wonderful asset to our family. My son loves playing interactive games! he would be so busy with this! My son loves to play video games and this would be a great way to get him to learn while playing. Thanks for the chance. My 3 yr old grandson would be over the moon for this. Love anything that promotes learning. I would love for my DD to have something to do besides wanting to watch cable tv shows! Something educational & fun! 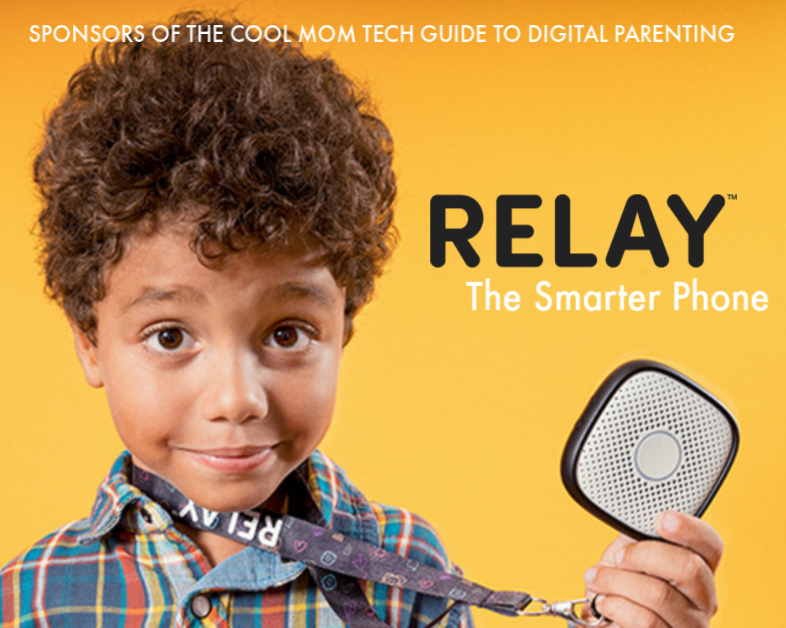 Frankly, I do not let my kids watch much TV nor watch videos on tablets or phones. If anything, I want to make sure they watch content that do not dull their minds, but rather challenge, stimulate, and educate. This gaming system seems to tick all the boxes I am looking for. Plus, it looks like fun the whole family (grandparents included!) can take part in! 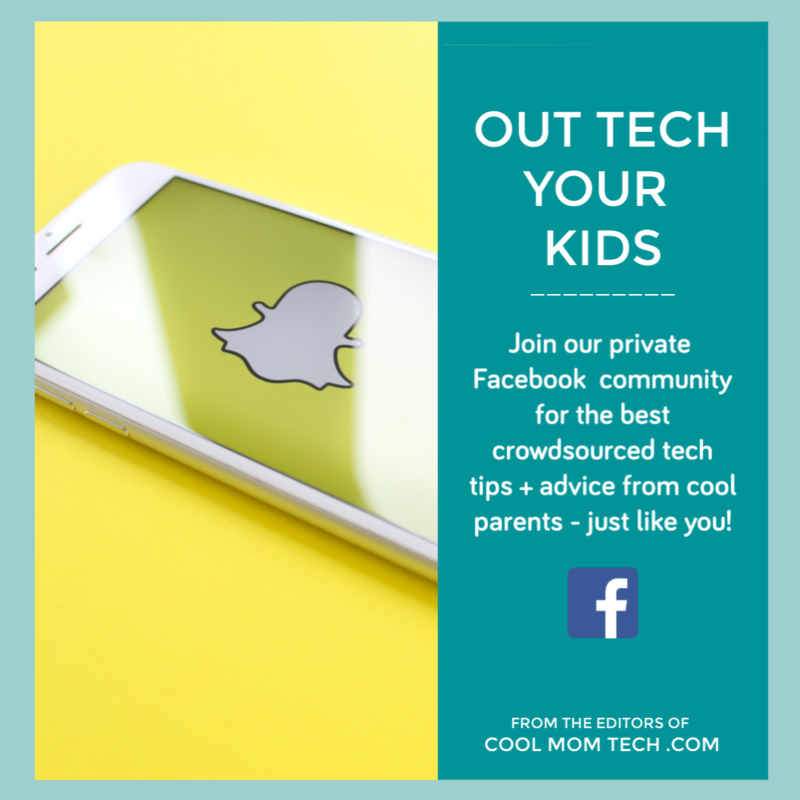 My daughter loves to play games on my phone, which I use at times when I’m feeding or generally taking care of her newborn brother. This would be awesome to have as I can actually see what she’s doing and she’s learning while she plays. Win win! HA! I’d be a pretty cool Aunt to one special little 6 year old if I could gift him this! I work with children with special needs and would like to see if this product would be accessible for a students with significant physical disabilities.